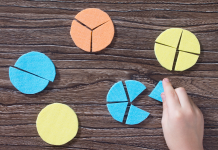 In this differentiated lesson, students learn how to skip-count by 2s, 5s and 10s, and recognise number patterns. They also use a calculator to help them count, which is where vast differentiation can occur. Describe, continue, and create number patterns resulting from performing addition or subtraction (ACMNA060). Access: Who can tell me what number patterns are? Engage: Play ‘stand up, sit down’ game. The teacher misses out one number on purpose, e.g. 5, 10, 15, 25, 30 etc. When the children think that a number has been missed out they have to sit down as quickly as possible. The last person standing is out. Find the Pattern: Show children a copy of the 100 grid. Ask, ‘What pattern do you think we would have if we coloured in every second number? Where would we start colouring?’ Allow time for children to discuss their answers and prompt. 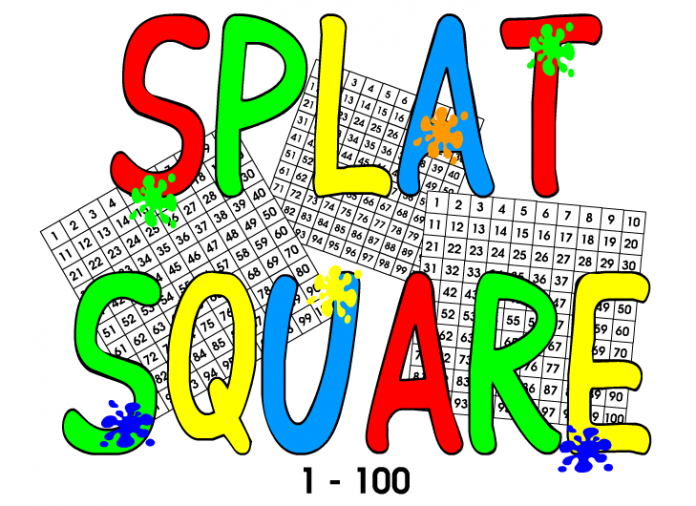 Skip Count: Ask children to skip count by 2’s, 5’s and 10’s referring to a 100s and 1000s number chart. 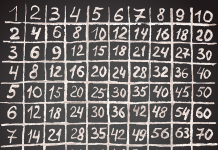 To make it more challenging ask children to skip count backwards. Calculator Count: Demonstrate how to skip count using the help of calculators’ constant function. Students sit in a circle with their calculators, first show them how to skip count forwards by 1’s and then backwards. Then demonstrate how to use the calculators’ constant function to skip count by 10’s, 5’s and 2’s. Calculator Count: Students are given a mystery number (7). Students count forwards by 1 from the mystery number using the constant function on their calculators. Students record their counting patterns on strips of coloured paper. Students also count back using the constant function on their calculators. Coloured Charts: Students use a number chart to colour numbers when counting up by 10’s. Calculator Count: Students are given a mystery number (48). Students count forwards by 10’s from the mystery number using the constant function on their calculators. Students record their counting patterns on strips of coloured paper. Students also count back using the constant function on their calculators. Coloured Charts: Students use a number chart to colour numbers when counting up by 5’s. Calculator Count: Students are given a mystery number (102). Students count forwards by 10’s from the mystery number using the constant function on their calculators. Students record their counting patterns on strips of coloured paper. Students also count back using the constant function on their calculators. Coloured Charts: Students use a number chart to colour numbers when counting up by 2’s. Extend students by asking them to count and colour by counting up by 4’s, they will realise this is doubling the counting by 2’s pattern. Share/Explain/Justify/Reflect: Ask a range of children to share the patterns they have made. Consolidate: How can counting by 2s be helpful in everyday life? Challenge/Extend: Who can count up by 15’s? Use observational checklist of students in regards to the outcomes specified above.